This year, why not do things a little out of the ordinary? 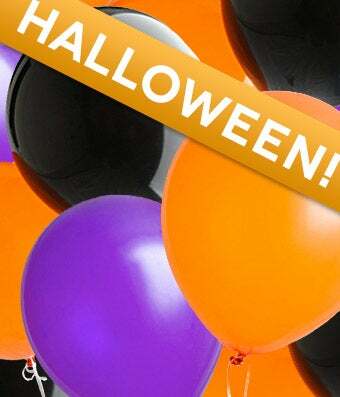 Send a special treat with our Halloween balloon bouquet. Created by one of our local florist, these orange, purple and black latex balloons are perfect for dressing up all those costume parties!